This year we are holding a building material show in Cambodia dated on 7 - 8 Sept 2017 KOH PICH, PHNOM PENH. 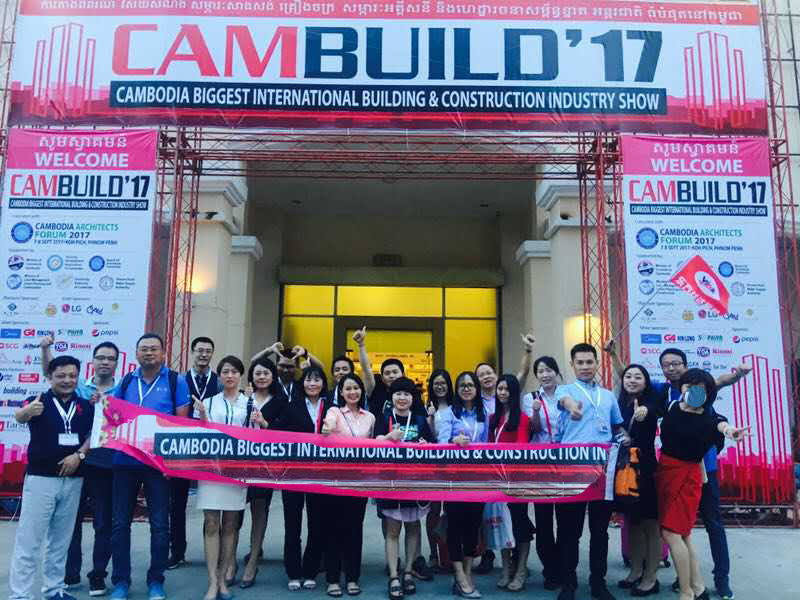 CAMBUILD“17 is the biggest international exhibition on architecture, building, construction, water management, power and electricity, HVAC, security and fire and property. Here we firstly would like express our gratitude to all the customers and friends who has visiting our booth during the fair. During the fair, we had met architect consultants, architects, and designers to exchange ideas and to be informed on the latest trends in supplies, materials and technology. This industry is undergoing rapid growth with a surge in demand for industrial, commercial, and residential construction. The most amazing thing is tha we could share and discuss knowledge and experience on technical advances in the development of high-rise buildings, as well as innovations relating to green environmental-friendly building architecture.